Both a living remembrance and a colorful expression of your warm wishes, this sweet, bright flurry of fresh plants celebrates vivid memories and sends heartfelt sympathy to friends and loved ones. 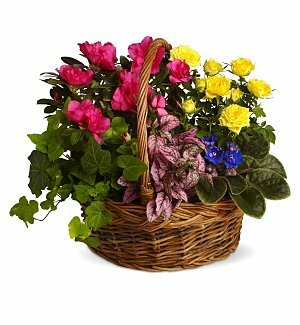 A handled basket holds live plants such as an African violet, yellow rose plant, azalea, hypoestes, and ivy. Fresh and lovely, the arrangement is an uplifting gift in times of sorrow. 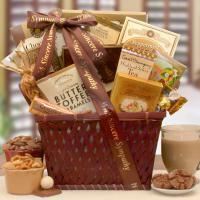 Beautifully packaged, visually uplifting sympathy gifts touch the heart as no other gift can do. 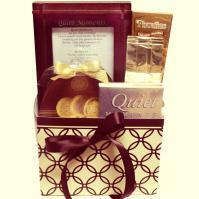 Let our stylish gift basket arrangements deliver your messages of condolence, thoughtfulness and respect. While grieving for your loved one, you may find yourself not wanting contact with anybody other than those to whom you are closest, and having to deal with so many people can be very difficult. ItÌs important to understand how to handle them. Sometimes it can be difficult, if not impossible, to trace certain family members. Do not feel guilty if you've not been able to contact them. Some of those who you will need to contact, may be people who you do not know personally. If they come to the funeral and you have not been able to speak to them properly, it would be a good idea to write or telephone them later, to thank them for attending. Unless the funeral is very small, it will probably be impossible for you to speak to all of the people who attend. DonÌt even try. Most people will understand that you are not going to feel like making polite conversation. You will find that those with any degree of sensitivity, will simply approach you, kiss your cheek/shake your hand, and offer their condolences. They will not expect more than you are able to offer. Most people organize some form of refreshment after the funeral. This can be a good way of accepting condolences from those you were unable to speak with during the actual service. By offering refreshments you are showing that you are willing to share your grief with those who are also suffering through their own loss. Enlist the help of a friend or two. You may feel that you will be able to cope, but having support close by will be very helpful should you find that you are feeling too upset to appear. Some people find themselves terribly alone in the days following the funeral, whereas others feel that they never have any time to themselves to grieve. Remember that others cannot read your mind anymore than you can read theirs, and they are simply doing what they believe to be right. If they choose to stay away, they are probably doing so out of respect for your privacy. If they choose to spend as much time as possible with you, this will be because they fear for your ability to cope alone. Explain to them what your needs are. If you need people around you, phone some friends and ask them to visit. If you need to be alone, explain this politely and ask if you may phone them should you need their company. You will find that most people are very accommodating as long as they understand your needs. The loss of a loved one is never easy and nobody will ever expect it to be. For some the funeral seems to pass as just a hazy memory, for which they feel guilt at not remembering the details of this last farewell. Remember that it is the memories you have of the person when alive that are important, and it is these which will remain clear to you in the future. During deep grief it can be very difficult to grasp details of what is happening around us, but this does not mean you didn't care. Quite the opposite in fact. Customer Service like this is what sets companies like yours apart and makes you stand out from the rest. 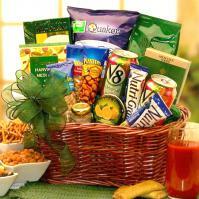 So do your baskets which we think are superb. We are so impressed and grateful that we will sing your praises loud and clear to whomever we encounter. Thank you for a job well done. Sincerely Mary Dowling, Marketing & Creative Services - New Fairfield, CT 06812"
packed with gourmet foods, fresh fruits, coffee, tea and caring gifts of encouragement and inspiration. 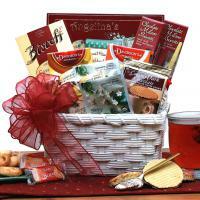 At times of bereavement sympathy gifts are a wonderful way to show you care.